It’s an old well-worn saying that has stood the test of time. Simply translated, if the organisation is designed poorly, with poor vision, strategy, mission and internal values then the results will follow. This all comes before the structure and systems. An organisational vision provides guidance about what core to preserve, and what future to stimulate progress toward, but vision has become one of the most overused and least understood words in business language, conjuring up different images for different people and as a result serving up confusion and frustration, rather than clarity and direction. Are the core values that you hold to be fundamental regardless of whether or not they are awarded? Would you want the organization to continue to hold these values, even if at some point they became a competitive disadvantage? If you were to start a new organization tomorrow in a different line of work, would you build these core values into the new organization, regardless of its activities? The key thing to remember about core values is that an organisation will find it virtually impossible to impose these on people. If they are forced then employees won’t make the emotional connection and misalignment and frustration will reign. Values have to embody what the employees feel the organisation stands for, and as a result any new employee will quickly understand the way the business operates and will quickly align and contribute value from day 1. So if you want to work in an organisation that genuinely strives for high performance, take a close look at its vision and values, make sure they are aligned to you and are something you can believe in and want to work in, then a happy partnership will begin and continue. We can usually tell when someone feels really good about a proposal, when they are engaged and committed and truly willing to put in the extra time and effort to make something happen. As consultants and business transformation leaders, it is our responsibility to harness these responses and nurture their development into the delivery of positive action to drive business improvement. It is also our responsibility to challenge the status quo, including our own and our clients’ culture of continuous improvement. We must however consider our challenge in the context of the cultural background of the business, the local culture and environment, and the individuals involved. The greatest challenge comes when we cross cultures and venture into a completely different world of emotional expression. Without a detailed understanding of these emotional landscapes, crossing cultures can become a communication minefield. Challenges are necessary; sometimes they happen when there is a need to deliver bad news, or to say no to what another person is asking of us. How we voice our challenges may say a lot about our cultural influences and business principles. We must also ensure that the message is clearly understood from the perspectives of the recipients, based upon an understanding of their cultural context. Understanding the right way to deliver constructive criticism to a colleague, and even undertake basic problem-solving often requires an approach based on negotiation and finding consensus through a shared commitment to conflict resolution. The unsaid is often significantly more important than the spoken word so must be carefully tailored to the circumstances and cultural surroundings. Take a look at “The Circle Chart” principle, which presents the findings of a University of California study which determined that more than 90% of communication is non-verbal, and consider it in the context of your working cultural environment. See a specific example here, and read more here for some food for thought on the differences between the body languages of people from different nations. According to the latest YouGov Survey 22% of the population believe they suffer from a food allergy or intolerance, with this in mind how much of the market do many food producers overlook? Or has the recent news surrounding the contaminated raw material in a “free-from” product highlighted how difficult this market is to serve? As the husband of an allergy sufferer which also restricts what I can consume at home, how could this part of the market be served without incurring additional cost or impacting the product, keeping both allergy sufferers and the rest of the family happy with the range of products on offer? In 2011 £238 million was spent on “free-from” products, doubling over the last 5 years and continuing to grow with an estimated 1 in 3 households affected. It is certainly a market worth considering. 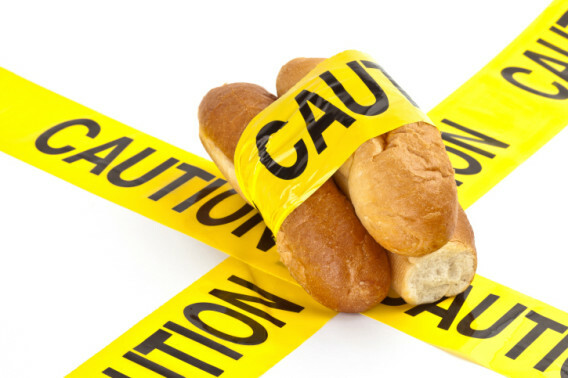 One of the biggest issues when living with an allergy is being unsure of what you can or cannot consume based on labeling as many will warn of potential cross-contamination, when in reality the risk is so minimal the cost incurred by producers to reduce this risk is extensive. So instead of a label reading “this product was produced on a line which handles wheat or gluten products”, it should read “whilst this product was produced on a line which handles wheat or gluten products, we strive to ensure the line is free from contamination thus the risk is minimal”, it’s a bit of a mouthful but the risk is very low in most cases. Not all allergy suffers will take the risk, but you are leaving it to the consumer to make a balanced judgement. One way around the issue is removing the need to put this warning on the label at all, through the use of completely gluten free ingredients. Dried packet mixes often have a common ingredient in the addition of wheat flour. Though there may be other reasons unknown to me, two key reasons are for the flour to act as a thickening agent or to bulk the product out, so what is a universally safe alternative, or could this be removed in some cases entirely? A small change to the recipe could result in a cost saving, as when you look at the value end of the market a number of products are wheat-free as there is little need to bulk the packets out. Food allergies are fast becoming big business but why is this currently seen as a niche market? This shouldn’t be about making a dedicated “free-from” product range, but making your current product range suitable for a wider market. Corporate empathy is a hard skill that should be required from the boardroom to the shop floor. Fellow-feeling has come to be seen as a means to a better bottom line. An empathetic customer service representative creates customer loyalty, while an empathetic manager creates engagement and employee loyalty. In order to empathise with someone, it is said that you must first “walk a mile in their shoes.” In other words, if you are a manager who has overcome one of life’s many challenges, you are naturally well placed to empathise with employees facing similar struggles, and help them find a way through. However, studies suggest that people who have suffered are often the least compassionate. People often don’t accurately remember the emotional distress of difficult times; moreover, those who overcame hardship tend to view it as a life event that can be readily conquered. This combination of experiences can lead to decreased compassion and increased contempt for others in similar straits. Because most people assume shared experiences produce compassion, suffering people are actually more likely to seek comfort or advice from those who are the least likely to provide it. 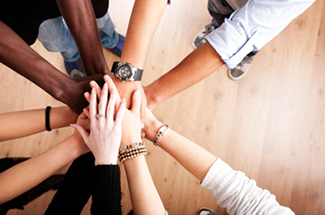 There is widespread belief in the power of shared experiences to create compassion. But having those shared experiences does not ensure empathy towards others. At the corporate level, this means that employees should be aware that their intuitions about who to approach for help or advice may, at times, be incorrect. Employers should be aware that instilling an empathetic culture is not as straightforward as it seems. And managers should be aware that sharing an experience with an employee may make them less likely to view that person compassionately. 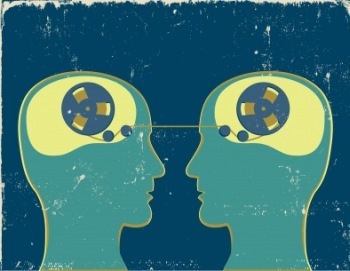 Numerous studies link empathy to better business results and therefore, it is important that businesses start to understand the dynamics of empathy. One way may be to teach people to place less emphasis, not more, on their own past challenges. For example, a manager who has overcome addiction might consider statistics on relapse when dealing with an employee struggling to find sobriety, rather than making a judgement based on his or her own experience. The same study also suggests that people who have gone through difficult experiences tend to be the harshest critics of those who are struggling or unable to cope. In this case, it is possible to state that familiarity may lead to contempt. The awareness of this dynamic and the importance of empathy and compassion in a corporate level may change the way companies allocate their resources throughout the various business levels. This can also have an impact on the way companies recruit new employees, trying to understand how past experiences may play a part on specific job roles. Empathy is indeed a hard-skill which creates engagement and loyalty, and the solution may be not to judge people on our past experiences as they may not ensure empathy towards others. In 2009 Dave Brailsford signalled the aim of winning the Tour de France by 2014 with a British rider. 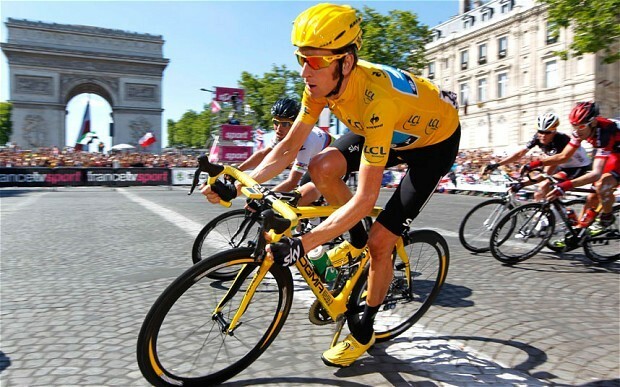 The pledge came true in 2012 when Bradley Wiggins became the first Briton to win in the 200 year history of the race, two years ahead of schedule. Nine years prior to this, Tour de France success Dave Brailsford joined British Cycling on a full-time basis as their Performance Director. In 2004 at the Olympic Games in Athens, the first results of his ‘marginal gains’ philosophy became evident as Sir Chris Hoy and Sir Bradley Wiggins won gold medals in their events. By the time Brailsford stepped down from British Cycling in 2014 to concentrate on his work as Team principle with Team Sky cycling, he had led British Cycling to numerous medals and accolades including 8 gold medals at the London 2012 Olympics, 17 gold medals at the Paralympics and 2 British Tour De France wins in 2012 and 2013. What does Brailsford put this success down to? The aggregation of marginal gains; “The whole principle came from the idea that if you broke down everything you could think of that goes into riding a bike, and then improved it by 1%, you will get a significant increase when you put them all together”. As you would expect, Brailsford started by optimising things such as diet, nutrition, training programs, rider ergonomics and bicycle aerodynamics. In the search for as many gains as possible, improvements also covered every aspect of their life such as hand washing to avoid infection, massage gels, and quality of sleep. Not all of these improvements were revolutionary. Brailsford was happy to adopt practices used by others. When it came to improving the quality of sleep for the riders, Brailsford looked to a method used by a touring ballet company. To help ensure a comfortable night’s sleep, they took the same pillow with them as they travelled from hotel to hotel. Which leads me to; how can this be applied in an operational environment? It is often tempting to overlook the marginal gains and instead look at the savings that can be made from major changes and improvements. If significant Capital investment is required, these changes can often meet resistance or take time to implement. On the other hand, Marginal Gains can often be made with little or no investment. Involving people who are familiar with the process and then adopting new ideas can help identify and implement these marginal gains. When thinking about product or quality defects, the earlier in the process these gains can be made, the greater the effect will be. Adopting the ‘marginal gains’ approach into your working practice will help to develop a continuous improvement mind set.